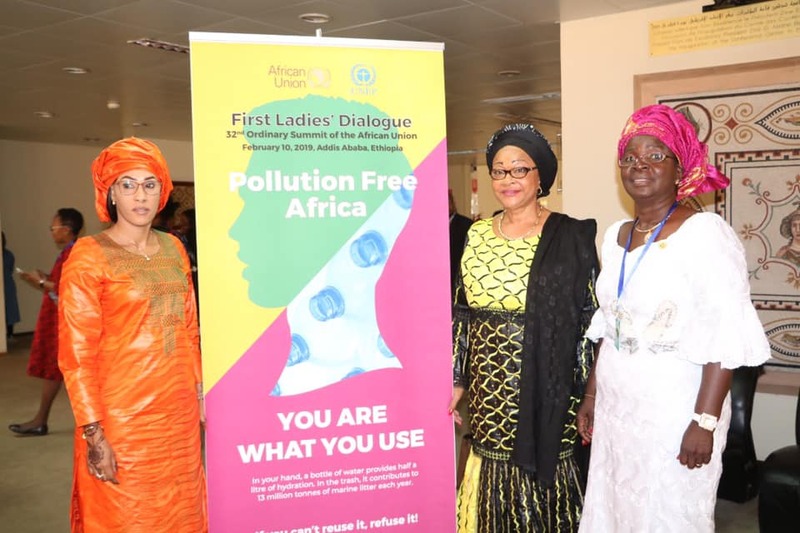 The African Union Commission has appointed Gambian First Lady, Fatoumata Bah-Barrow to head its war on plastics which are polluting the continent. “In this new role, the continental body would rely on First Lady Barrow’s wisdom and good office to spearhead the regional campaign to ban and eradicate plastics on the continent” a statement from tState House in Banjul said. Mrs. Barrow's appointment came during a session on the banning of plastics in Africa on the sidelines of the African Union heads of state summit currently underway in the Ethiopian capital Addis Ababa. ‘’As the Chair for West Africa, I am committed to the gradual eradication of plastics through advocacy and awareness raising on the impacts of plastics, and share experience on strategies and measures being undertaken to address the plight of plastics’’, the statement autoed her as saying.